Shawn is an owner of WHS with over 22 years’ experience in civil engineering. He is a proactive project manager and actively involved in providing daily leadership and oversight. His career began at the WYDOT where he worked for about 6 years as a project engineer on many urban and arterial highway and bridge projects ranging in price from $100,000.00 to $20,000,000.00. 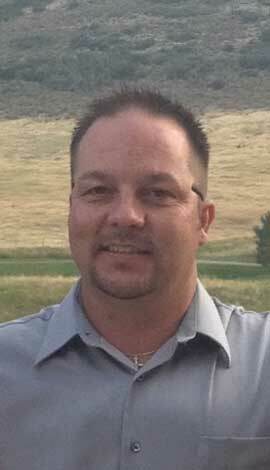 Shawn broadened his career when he accepted a position as a project manager/estimator for a local construction company “LEWIS and LEWIS”, where he worked for about 4 years managing major highway construction jobs throughout Wyoming. Shawn expanded his knowledge and expertise by accepting a position as a Rock Springs City Engineer where, for approximately 3 years, he designed, reviewed and completed various municipal engineering projects including transportation systems, traffic controls, water, stormwater and wastewater systems. He prepared plans, specifications and cost estimates and assumed the responsibilities of project manager during construction. His duties also included the evaluation, review, and acceptance of development plans and proposals for conformance with the City of Rock Springs specifications and ordinances. In 2007, Shawn co-founded and began operating Choice Engineering Services, Inc. until 2015 when the company merged with William H. Smith and Associates, Inc. (WHS) in order to expand the list of customer services. Shawn has a proven track record in managing projects with complicated solutions and short design schedules. His vast and unique working history has provided him with a great reputation and very strong working relationships with local, county, state, and private entities.